1) Does the Butterfly design/materials include down pipes from the roof – so run-off water can be discharged to a storm water drain? 2) Is the run-off water directed to one end of the central channel on the roof, or both ends? Yes, the Butterfly modular building includes down pipes from the roof so that the run-off water can be discharged to a storm water drain or even a water tank. The run-off water falls into box gutters at both ends of central roof and run off via concealed downpipes. 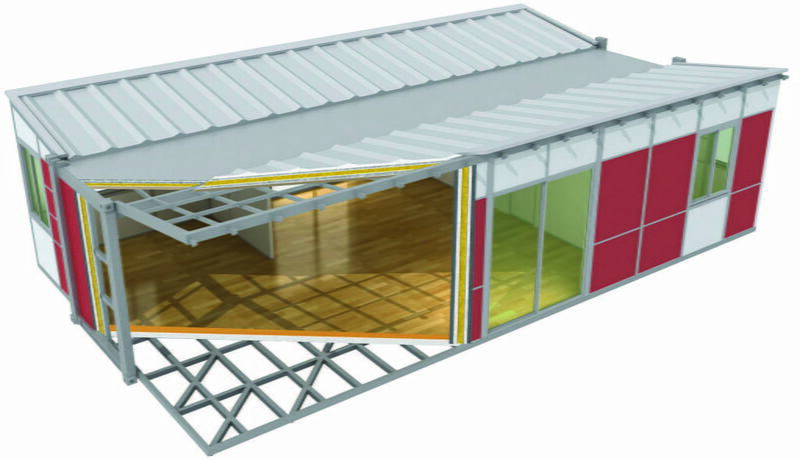 iBuild's Butterfly modular building includes down pipes from the roof so that the run-off water can be discharged to a storm water drain or even a water tank. The run-off water falls into box gutters at both ends of central roof and run off via concealed downpipes.